Gwen Moffat lives in Cumbria. Her novels are set in remote communities ranging from the Hebrides to the American West. The crimes fit their environment, swelling that dreadful record of sin in the smiling countryside cited by Sherlock Holmes. The style echoes this: rustic charm masking horror. On a summer’s day in 1985 Kazumasa Yuuki, a seasoned reporter on a provincial Japanese paper, experiences two momentous events. His best friend, Anzai, suffers a massive stroke on his way to lead Yuuki up his first rock climb, and a Jumbo Jet crashes in the mountains killing over 500 people. Seventeen years later, again approaching the same rock face, this time to be taken up it by Anzai’s son, Yuuke recalls the remarkable days following the plane crash. Where most post-disaster books might focus on the crash site itself, the grieving families, the flight recorder, in Seventeen these get scant mention, serving only as background for a stage that is the newsroom of the local paper. Far from being united by such an unprecedented scoop, the different departments are plagued by factional in-fighting exacerbated by the global interest. The hierarchy is inflexible and status is all. Yuuki, now head of the editorial department, fights running battles for his stories: for precedence, space, timing, even inclusion. The atmosphere is hysterical, incomprehensible; it’s not until Yuuki is approached by two bereaved women, that compassion starts to creep in. This good family man has been having a bad time at home too. His friend Anzai never recovered from his stroke and Yuuki, at odds with his own adolescent son, had taken upon himself the role of father to Anzai’s boy, Rintaro. Now he’s exercised by the suspicion that, in bringing the two lads together he is using Rintaro to forge a link with his own son. Yuuki expends a lot of energy in soul-searching and there’s little space left for empathy. 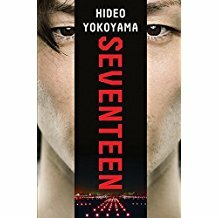 Not a book for climbers, for crime buffs, nor for readers who will compare it unfavourably with the sophistication and quiet menace of Togawa’s The Master Key.